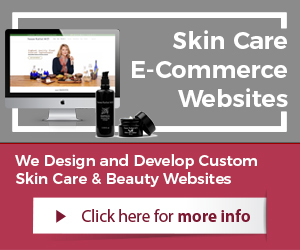 Skin care business coaching services are available with industry-experienced professionals providing expert help, making a skin care business more profitable or helping to start a new brand. Skin care brands can get expert advice that look to make changes or improvements more successfully. This is also true for start-up skin care companies or individuals that wish to do it right the first time around and avoid costly mistakes. Skin care business consultants, advisers, and coaches are professionals with industry experience that can assist in various areas. Of course quality of vendors will vary, but a brand must conduct their own due diligence with any new vendor. In general, retaining the services of an expert for a specific purpose is a smart choice to achieve better results. Receiving help from industry experts who can advice, guide, and help can be very advantageous for someone who is starting a new skin care business and brand. It is for entrepreneurs and investors who consider starting a new brand, creating a budget for it, or simply making the first steps. An expert can greatly increases the chances of success. Business coaches, consultants, and advisers that have skin care industry experience and assist start-ups focus on several areas. Mostly, they bring the principals up to speed in areas that they lack most knowledge in. At times, doctors, aestheticians, and other individuals with different professional backgrounds start skin care companies. These investors may know skin, product formulations, and certain aspects of the skin care market. To have access to what is uncertain, many reach out to experts in those fields. Start-up coaches and consultants work with these investors to create successfully a brand ready for business. 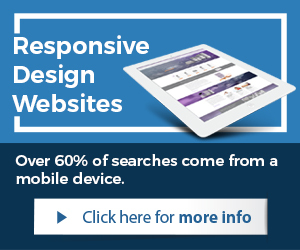 They specialize in helping out with website design, e-commerce solutions, logo design, and even naming the brand. Industry experts who provide coaching and consulting services can also assist in product formulations, naming the products, packaging design, finding the right vendors, and any other early stage requirements. Marketing is a very complex task these days. Online marketing alone is a very fragmented area to cover as a brand. There are so many accounts to be created, properly setup, and managed for success. Marketing consultants who have skin care industry experience can greatly reduce margins for error and increase success rate for their clients. Experts in marketing who have a background in the skin care industry; can assist a brand by providing guidance, advice, and implement specific marketing strategies to meet brand’s objectives. Marketing professionals with skin care industry knowledge know what works and what does not. Focusing only on the key tasks that will yield a much greater return on investment (ROI) allows a brand to allocate resources in a more efficient and profitable way. Marketing areas of focus for brands that experts can help with are search engine optimization, social media marketing, content marketing, paid advertising, video marketing, Infographics, media buys, and other forms to support skin care companies. This can be one of the most challenging areas for any skin care brand. Start-up business and established brands have difficulties navigating with success through the myriad of choice when it comes to website hosting, technology, e-commerce, design, and assistance for it. Brands have a need that is not always the same. Each start-up or established brand has a certain structure, desired goals, and resources, exit strategies, and so on. All of these factors should go into the decision making process when choosing technology and the management of it. Technology consulting and coaching services that have skin care industry experience can help brands reach their goals through informing clients about their choices and different opportunities. Experts can help implement the right technology, design sites, implement e-commerce solutions, and help setup all hosting requirements, email, domains, and other relevant applications. Regardless of size and structure of a brand, experts can bring real results, quickly to clients who decide to work with industry experts through consulting or coaching agreements. Most common help is in the start-up area of the beauty industry. For established brands, change management services are available to increase profitability. Marketing, technology development and management are also very popular since brands tend to lack the knowledge in those areas. When brands work with experts’ chances for success tend to greatly increase. 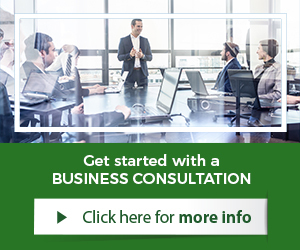 To explore opportunities with skin care business experts, get started by scheduling a consultation with a company that offers skin care business consulting services and coaching.